Edward started his estate agency career in 1997 with a large independent estate agent in Broadstone, enabling him to acquire an essential knowledge of the local area. Further success brought promotions to senior management positions in the Blandford and Wimborne areas. When the opportunity arose to join Hillier Wilson, Edward deemed this too good an opportunity to miss and became a Director on the 1st August 2015. He joins his wife Cathy who has worked for Hillier Wilson for several years. Through a wide network of key contacts, Edward is looking forward to expanding Hillier Wilson’s market share which they have gained over the past 25 years. Edward lives in Corfe Mullen where he runs regularly and enjoys days down at the beach hut at Canford Cliffs with his wife and two children. 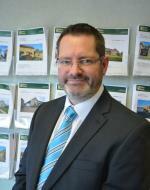 Rob Harvey has been in the estate agency industry for nearly 20 years having, started in Broadstone in 1999. Working with a large independent estate agent, Rob quickly climbed the managerial ladder and became manager in 2005, having exceeded all proposed targets. After such a long time within the industry it was a natural progression for Rob to own his own business alongside fellow director Edward Hurren. Rob’s experience, coupled with attention to detail and high customer service, results in repeat business and recommendations. 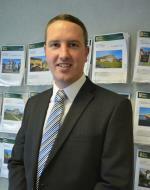 Rob currently lives locally with his wife and three young children and is a keen football fan and golf player. After a career spanning some 48 years, Andrew retired from Hillier Wilson in the summer of 2015 and now looks forward to a happy fulfilling retirement. As a founder partner, Andrew established Hillier Wilson as one of the leading independent estate agents in the Poole area. His 'black book' of contacts will undoubtedly prove valuable as Andrew continues as a consultant with Hillier Wilson. Like Andrew, Toby's career in estate agency spans over 40 years having started as a negotiator in Guildford in 1970. Having established Hillier Wilson in 1992, Toby has been responsible for marketing and enhancing the reputation of the company in Broadstone. Having now retired, Toby remains as a consultant with special responsibilities for IT and marketing, together with an administrative role at weekends. Jayne first met Andrew and Toby in the 1980’s and joined Hillier Wilson a couple of years after they opened. Jayne lives in Broadstone and has vast local knowledge as well as an in depth understanding of all aspects of the industry. As well as being very conscientious Jayne’s excellent communication skills continue to be appreciated by all. Cathy works for Hillier Wilson as an administrator/negotiator on a part-time basis and has been working in the estate agency business for over twenty years. Cathy has worked as a Senior Negotiator for major independent and corporate estate agents and therefore has a wealth of experience in selling all types of property and dealing with all aspects of property matters. Living nearby in Corfe Mullen with her husband Edward and two children, Cathy has good local knowledge of both the Broadstone and Corfe Mullen areas. In her spare time, Cathy enjoys spending time with the family outdoors, country walks, cooking, gardening and travel.